There are several types of moss, fungus and other pests that can affect your trees. 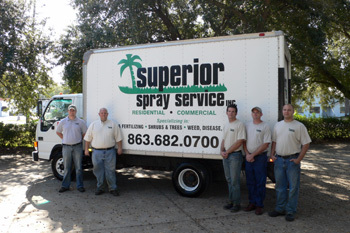 Superior spray service offers a single application treatment that is effective for both Spanish Moss and Ball Moss. 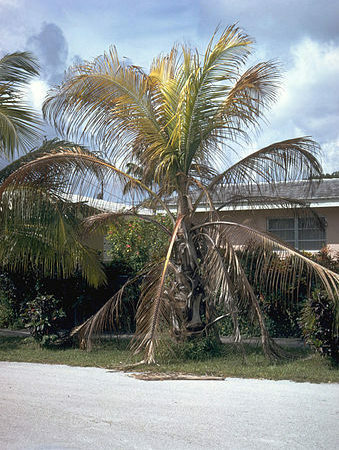 These are the two most common pests that invade trees here in the central Florida region. We spray a single application of chemicals that will not hurt the tree or the plants below, however the moss will slowly die after this application. The moss can take up to 6 months to die, but we guarantee that it will die. Both Spanish Moss and Ball Moss are not parasitic, they do not directly impact the tree, however too much of the moss can impede photo-synthesis by not allowing enough light to get to the leaves of the tree; which can dry out and kill your trees. The moss can also weigh the tree down causing branches to break especially in unfavorable weather conditions. Please contact us to have a free evaluation done of your trees, if you are concerned with the current amount of moss in your trees. For more information on both of these types of mosses as well as other common growth on trees please do not hesitate to call us. Tree fertilizer is vital for maintaining the beauty of your landscape. Like all living things, plants require nutrients in order to grow strong and healthy. In an urban or suburban environment, nutrient deficiencies are a particular danger to the health of your trees. 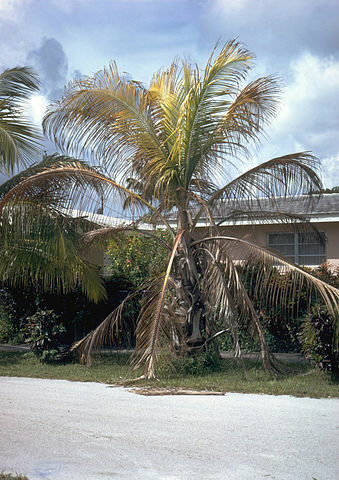 In these environments, leaves, your trees’ natural nutrient source, often are removed. As a result, the trees on your property are forced to compete with turf and other vegetation for remaining food supply and water. This, coupled with stress from compacted soils and root space infringement, causes deficiencies. At Superior Spray Service, Inc. we are always looking for new methods to care for all your plant needs. We believe Arbor Jet to be a state of the art method in treating all you tree care needs. How Arbor Jet Works Arborjet is such a simple, Eco-friendly way to protect trees from pests. Trunk injection is a great alternative to spraying or soil applying pesticides for tree insect or pest control. Arborjet trunk injection equipment injects formulations directly inside trees. 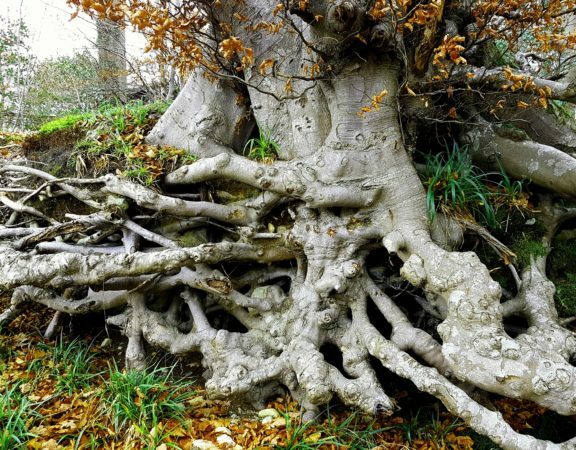 With over 10 years of research and development, our trunk injection systems and formulations are proven to give the best results when protecting trees from pests. Eco-Friendly Unlike spraying or soil applications, Arborjet’s system injects directly into the tree, limiting any impact to your family, the applicator, and the environment around you. Cost Effective Equipment & formulation costs are much less costly than they use to be. Superior Spray Service, Inc. can offer a program for all the trees in your landscape that will add value and protection to this beautiful part of your landscape. Call 863-682-0700 or click now for a FREE estimate!